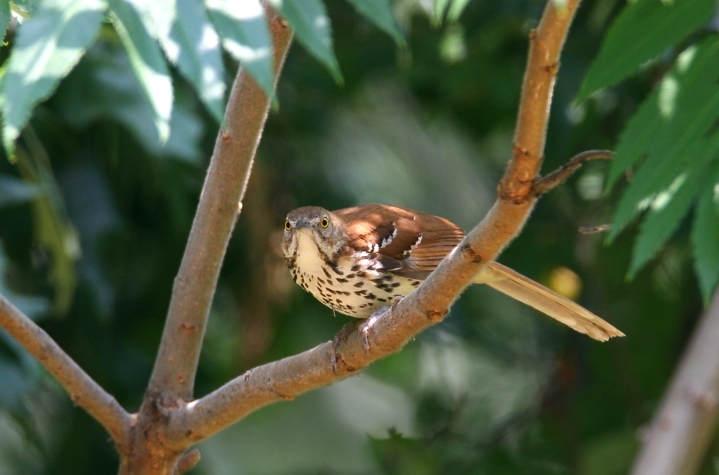 Mostly in our backyard in Anne Arundel Co., Maryland. 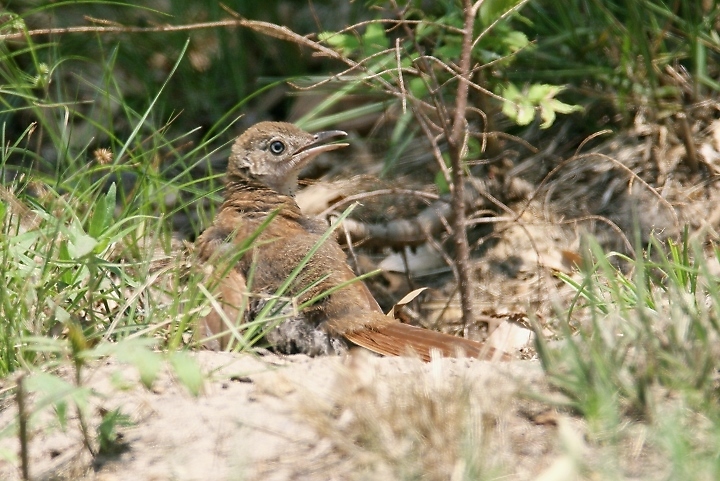 Last updated: 7/8/2007. 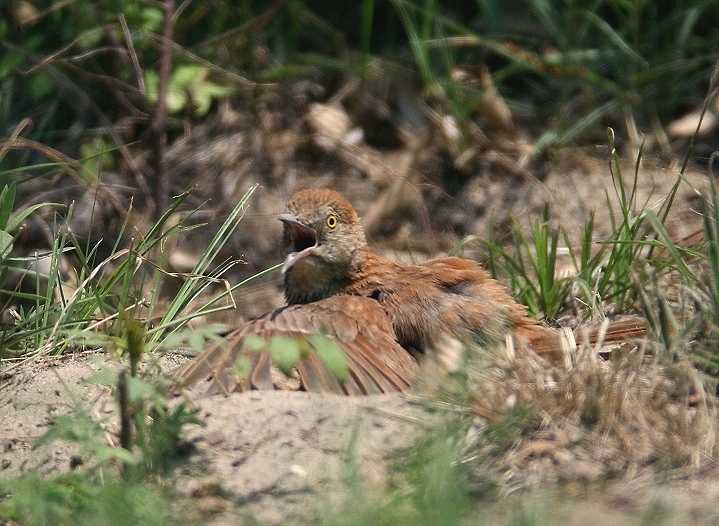 Above and below two: A young Brown Thrasher learns the joy of dustbaths while its parents look on suspiciously - our yard in Anne Arundel Co., Maryland (7/8/2007). 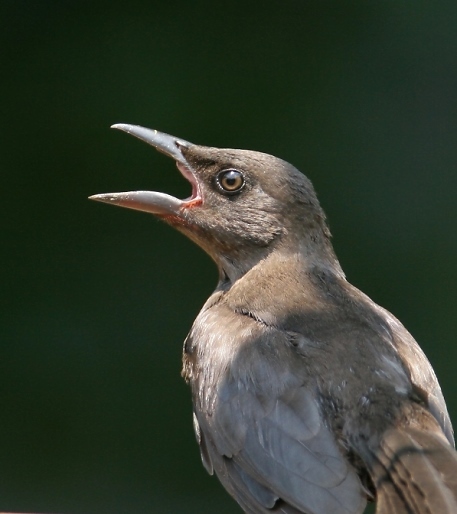 Below: A juvenile Common Grackle still begging for food from its parents - our yard in Anne Arundel Co., Maryland (7/8/2007). 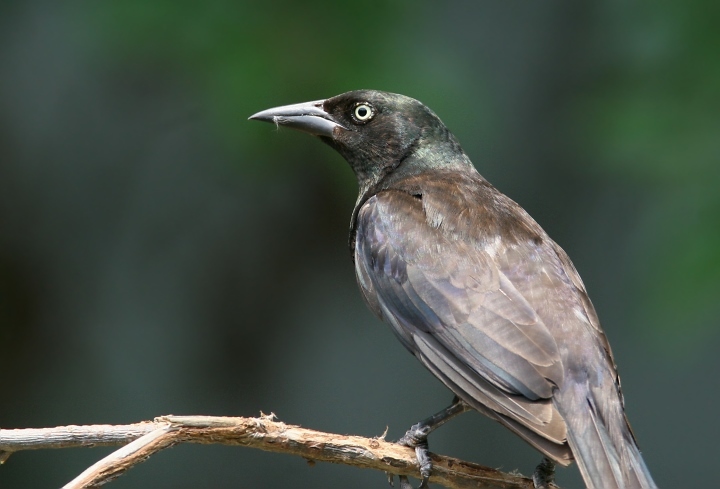 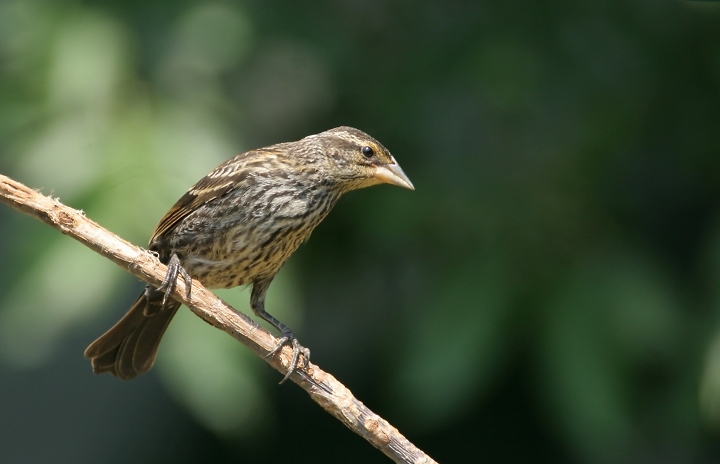 Below: A female Common Grackle in our yard in Anne Arundel Co., Maryland (7/8/2007). 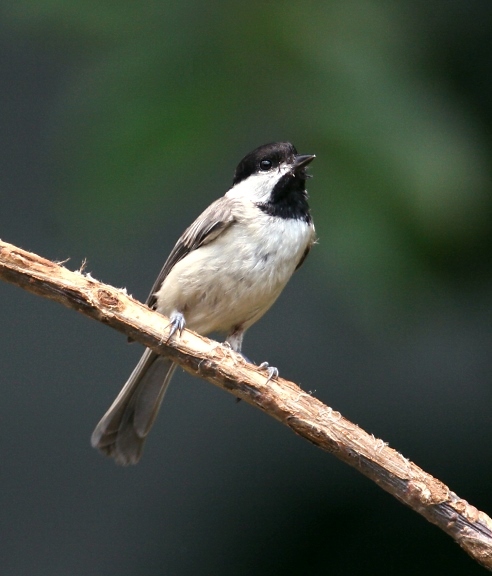 Below: Introducing the 2007 model Carolina Chickadee - our yard in Anne Arundel Co., Maryland (7/8/2007). 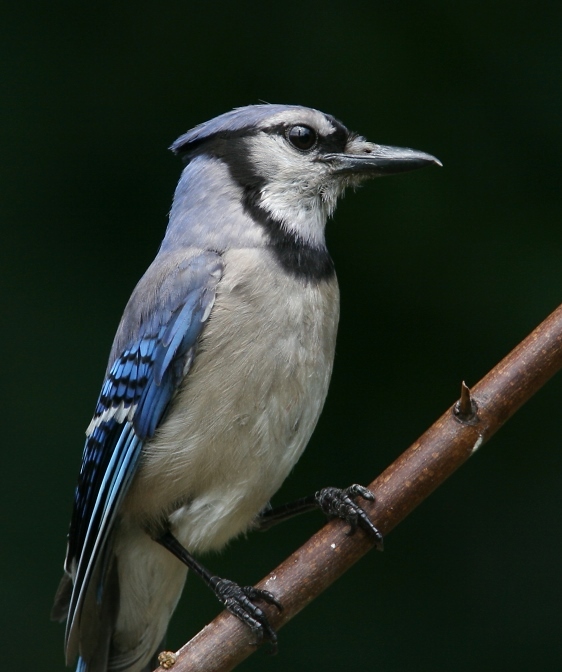 Below: A Blue Jay in our yard in Anne Arundel Co., Maryland (7/8/2007). 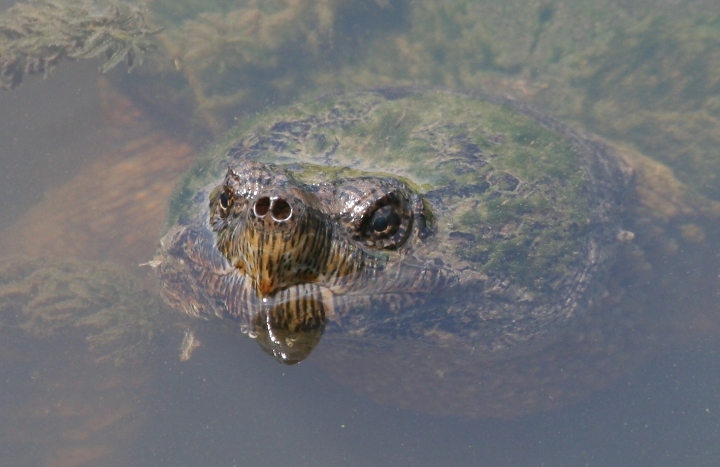 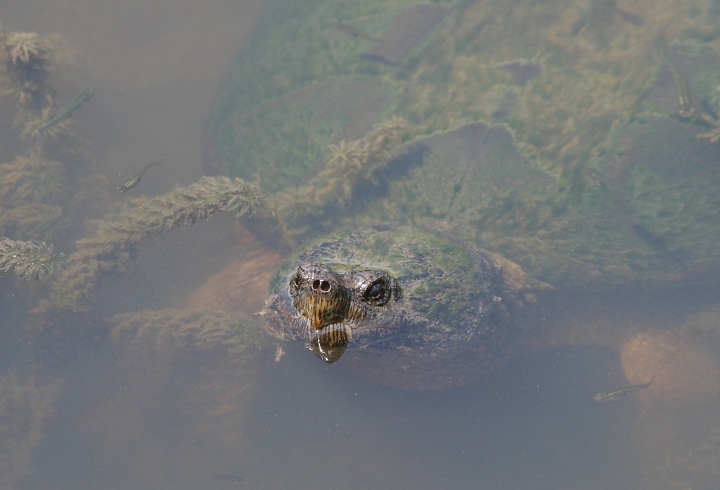 Below: A large Common Snapping Turtle at Jack Downs Park in Anne Arundel Co., Maryland (7/7/2007). 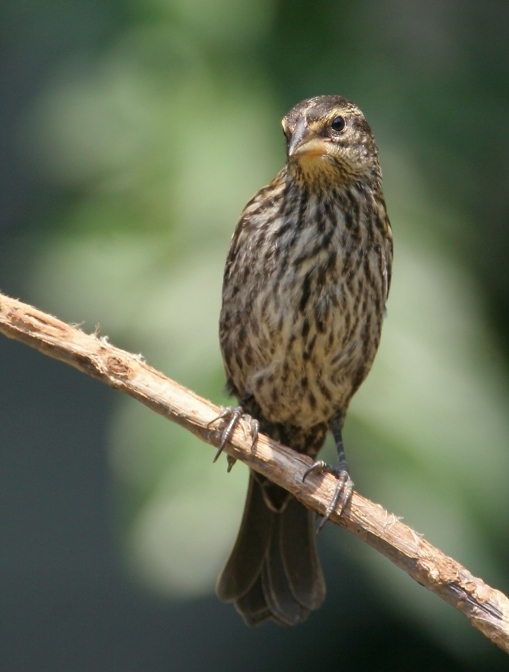 Below two: A female Red-winged Blackbird in our yard in Anne Arundel Co., Maryland (7/8/2007). 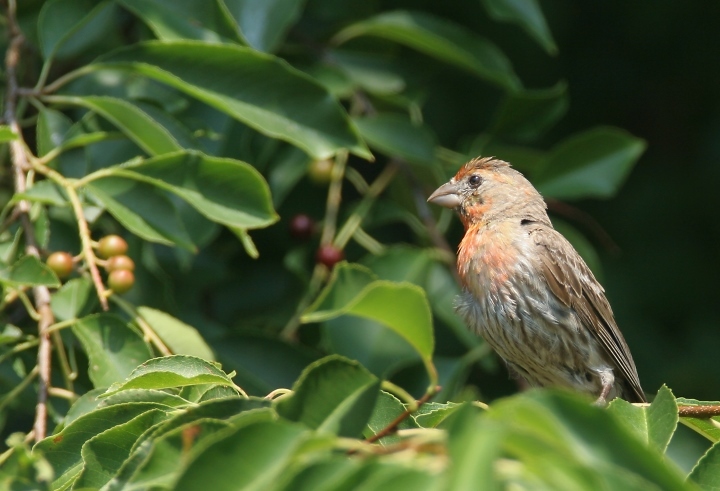 Below: A male House Finch in our yard in Anne Arundel Co., Maryland (7/8/2007). 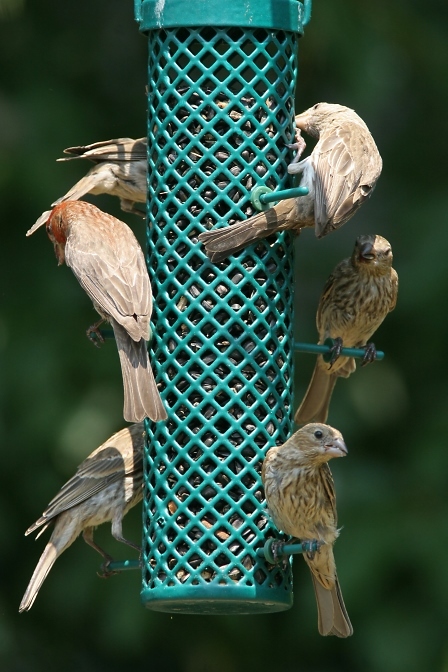 Below: A House Finch family portrait in our yard in Anne Arundel Co., Maryland (7/8/2007). 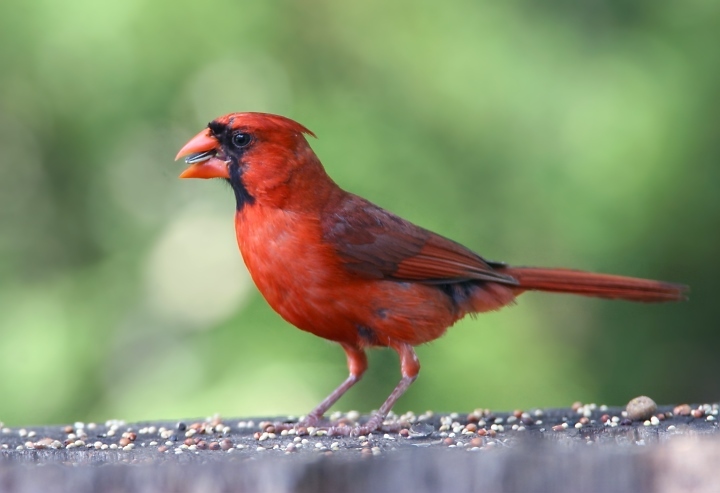 Below: A male Northern Cardinal in our yard in Anne Arundel Co., Maryland (7/8/2007). 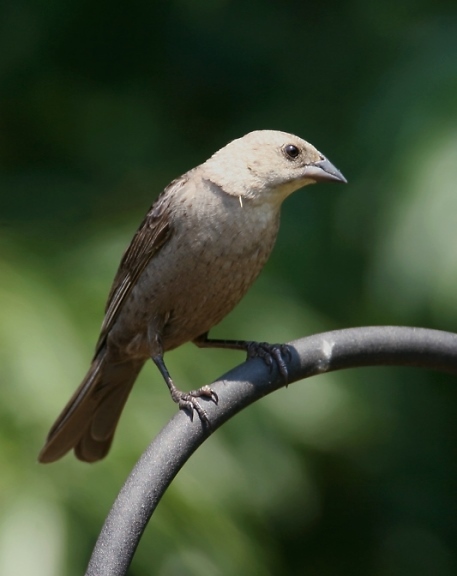 Below: A female Brown-headed Cowbird in our yard in Anne Arundel Co., Maryland (7/8/2007). 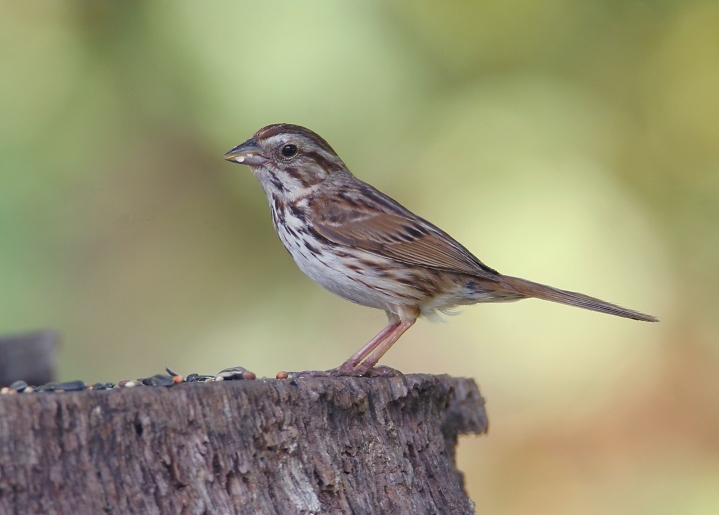 Below: A Song Sparrow in our yard in Anne Arundel Co., Maryland (7/8/2007). 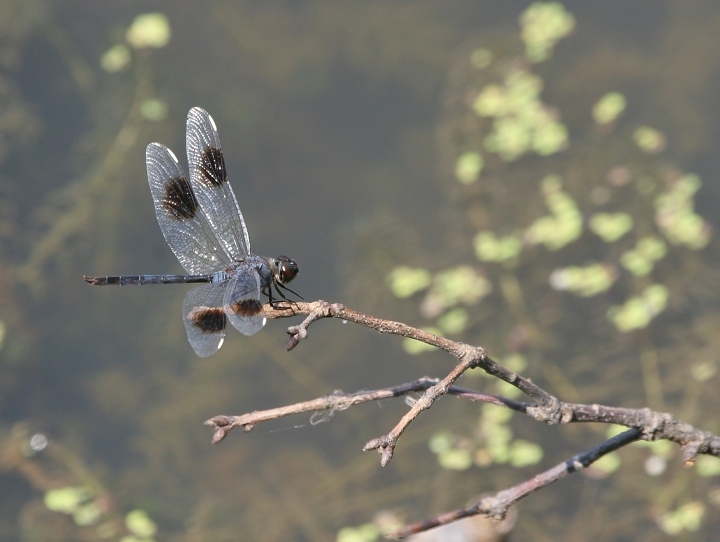 Below: A Four-spotted Pennant at Jack Downs Park in Anne Arundel Co., Maryland (7/7/2007).